1 Comment on Loads of turtles around Semporna! To get an idea of green turtle densities on foraging grounds around the Derawan Archipelago I hopped over the border to Malaysia to visit the islands around Semporna (Mabul, Sipadan, Pom Pom, & Pandanan). Steve Oakley and Celebes Beach resort were so kind to host me on Pom Pom Island. Read the blog post by Steve Oakley on our work here, also if you are looking for a student project on turtles. High densities on the seagrass here! But Derawan turtle densities are still on top. Turtles here are more restricted to a limited time frame for grazing due to a different tide. On Sipadan I found a lot of juvenile turtles that grazed on hairlike Halodule uninervis in only 15cm of water. On the coral reef turtles could be approached so close that I could read the tag numbers and most of the subadult turtles had flippertags all tagged on Sipadan itself. The turtles seem to stay for a long time on the same place. 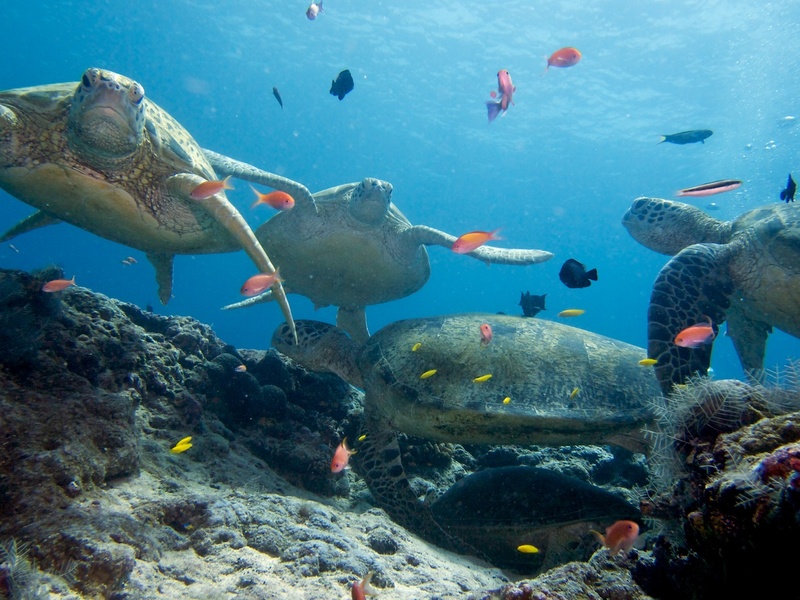 The Green turtles are real fish-spa addicts, so many times you see the green turtle stretching out in a cloud of cleaner wrass and cleaner emperor fish, and on Sipadan I saw a group of 8 turtles fighting (biting!) over taking over the best spa-spot on a big rock. Would love to be there for my Turtles Conservation Project. Wish to bring with me my team of volunteers who have been working with me for the Save The Turtles Campaign. More efforts should be done for the Turtles well being and future..!